What happens when two singer/songwriters known for their unorthodox yet brilliant performances come together for a night of music and entertainment? 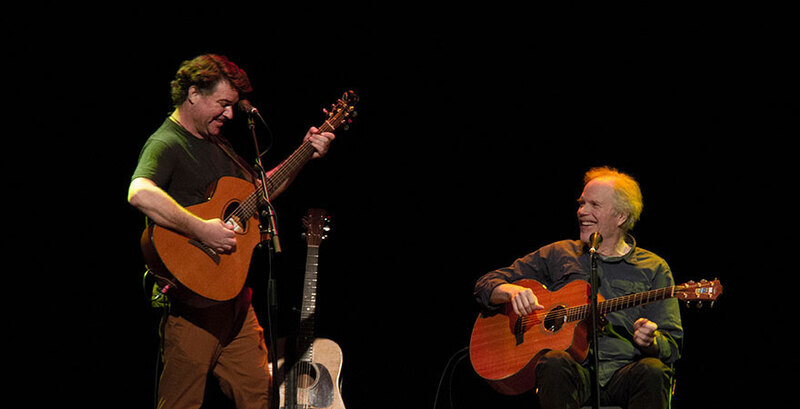 Audiences will find out on February 24, 2017 when Keller Williams and Leo Kottke bring their concert event, “Shut the Folk Up and Listen,” to State Theatre New Jersey. For both musicians, this concert is about going back to their roots and performing a simple acoustic set list. While both Williams and Kottke have opportunities to perform solos, their performances truly shine when they collaborate with one another. After discussing how to make the show naturally progress, both Williams and Kottke decided on an unusual format for the performance. 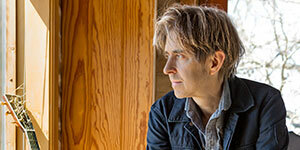 Kottke prefers to be the opening act, and Williams eventually joins him for several duets. From there, Williams takes the stage for the rest of the show’s closing. Despite the show’s unconventional format, the set flows quite effortlessly and helps showcase the undeniable chemistry between the two musicians. Williams notes that Kottke has had a major influence on his career, and he admits, “After hearing every word and note of Leo’s set through my in ear monitor system, I then take the stage fully inspired…” Kottke brings his signature flair to each performance, sharing various stories that manage to be comedic yet charming. His nostalgic retellings of stories from both his lifetime and career will make the audience roar with laughter. Williams insists that no performance is the same, and he finds that the venue in which the show takes place gives each performance a unique energy. For the most part though, Williams notes that audiences seem to be focused on listening to the music, which perhaps could be due to the calming acoustic sets. Kottke, whose hearing was weakened during his time in the navy, prefers when audiences are more relaxed because yelling and whistling can actually distract him from his music. Both musicians’ calm and carefree attitudes create the optimal ambiance for engrossing audiences in their music. This will be an unforgettable performance that will highlight the raw talent of these seasoned musicians. Come join the legendary Keller Williams and Leo Kottke on February 24, 2017 at 8pm!